Last week (Thursday 24 October), I was delighted to lead a cross-party visit of MPs and Lords to the McLaren Technology Centre, as part of an industry visit organised by the Motor All-Party Parliamentary Group and the Industry and Parliament Trust. Designed by Sir Norman Foster, we visited the stunning headquarters of the McLaren Group in Woking – home to both the Vodafone McLaren Mercedes Formula 1 team and McLaren Automotive. We were given a full behind the scenes tour of the facility, which includes the McLaren Production Centre – where the groundbreaking 12C, 12C Spider and newly-launched P1 supercar are manufactured. Much of our discussion focused on McLaren’s innovative within motorsport, and automotive technology within the context of the wider environment for British suppliers and manufacturers. 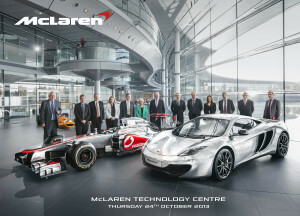 We were briefed on how McLaren Applied Technologies is creating strategic partnerships across sectors, applying Formula 1 technology and expertise to new and existing areas – including pharmaceutical research, energy, and sports from cycling to tennis. Meeting with Managing Director of McLaren Racing, Jonathan Neale, and Operations Directive of McLaren Automotive, Alan Foster, we also discussed how to build the skills necessary in graduates and apprentices working at the pinnacle of engineering – as well as McLaren’s work to promote the sector to young people. 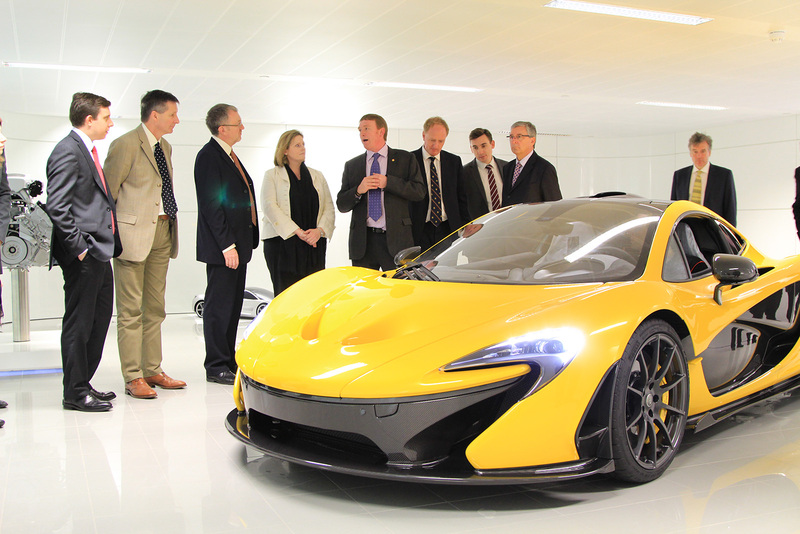 The cross-party All Party Motor Group aim to address issues of strategic importance to UK automotive industry and our visit to McLaren this week was the perfect example of that. We saw why – in their 50th Anniversary Year – McLaren both remain a winning motorsport team and a leading British company in automotive manufacturing, engineering and design. As we look to scale up low carbon innovation and establish a new generation of employees to strengthen UK automotive in the future, we can certainly learn a lot from McLaren’s innovative approach to growth.